Scripps Networks Interactive announced Thursday it would pay a quarterly dividend of 15 cents per share on Sept. 10, to shareholders of record on Aug. 30.That’s unchanged from the dividend paid the previous quarter. Scripps Networks will report its second-quarter operating results before the market opens on Aug. 8. A conference call with analysts will follow at 10 a.m.
Scripps shares were down slightly in morning trading on Friday at $72.14, but are up more than 20 percent since the first of the year. The Knoxville-based lifestyle media company’s portfolio includes cable channels HGTV, Food Network, Cooking Channel, Travel Channel, DIY Network, Great American Country and related Internet brands. Photo: Scripps Networks Interactive headquarters in West Knoxville. This entry was posted in Scripps Networks and tagged Cooking Channel, dividend, earnings, Food Network, HGTV, Scripps Networks, Scripps Networks Interactive on August 2, 2013 by Roger Harris. After a disappointing first-quarter, Regal Entertainment Group’s second-quarter is looking much improved thanks to a string of blockbusters like “Iron Man 3,” “Star Trek: Into Darkness,” “The Great Gatsby” and others. Summer ticket sales are up sharply from a year ago — about 14 percent, according to a report by The Wall Street Journal’s Marketwatch web site. And when admissions are up that means the Knoxville-based theater operator is selling more popcorn, soda, candy and other high-margin concessions. 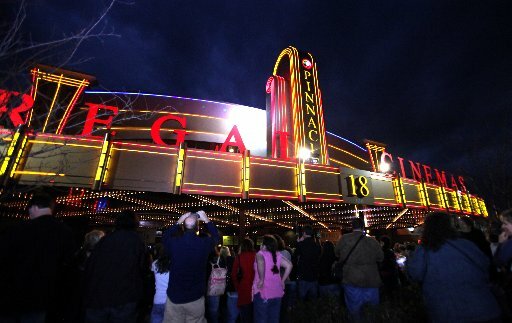 Regal reported a first-quarter profit of $22.5 million, a 51 percent drop from the 2012 1Q. The 2013 second-quarter should be much improved. “As measured from the first weekend of May through July 1, the 2013 year-to-date summer movie season has generated more than $2.4 billion in gross box-office receipts according to data compiled by Boxofficemojo.com. That’s up nearly 14% from 2012’s result and is the first double-digit year-over-year gain since 2002. And the season isn’t out of steam yet, with upcoming titles like “The Wolverine,” “Elysium” and “Pacific Rim,” Marketwatch reported. Click here for the Marketwatch report comparing Regal and competitor Cinemark. This entry was posted in Regal Entertainment Group and tagged blockbuisters, Cinemark, earnings, Iron Man 3, movies, profit, Regal Entertainment Group, Star trek, The Great Gatsby, theater on July 8, 2013 by Roger Harris. 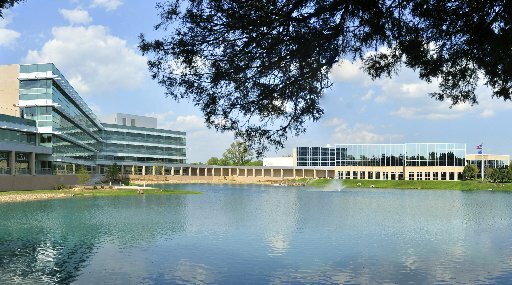 Scripps Networks Interactive headquarters in Knoxville. Analysts are expecting solid revenue growth and improved earnings when Scripps Networks Interactive reports first quarter results on Thursday. Increased advertising and strong ratings are driving growth at the Knoxville-based lifestyle media company, according to Investors.com. Macquarie Capital analyst Amy Yong said in a report quoted by Investors.com. This entry was posted in Uncategorized and tagged Amy Yong, analyst, earnings, Investors.com, Macquarie Capital, Scripps, Scripps Networks Interactive, stock price on April 30, 2013 by Roger Harris. 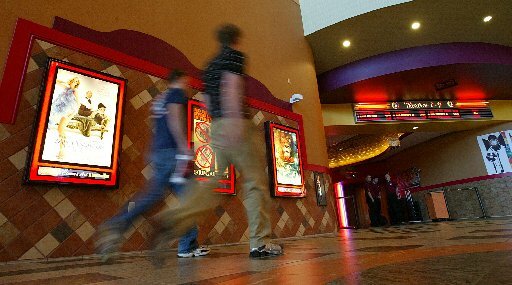 theater operator releases its fourth quarter earnings on Thursday. Analysts are predicting earnings of 20 cents per share, double the 10 cents per share the company reported in the prior-year quarter. Revenue is expected to be up 14.9 percent from a year ago, reversing results from the previous two quarters when revenues were down from from the year before. This entry was posted in Regal Entertainment Group and tagged analysts, earnings, forbes, Motley Fool, Regal Entertainment Group, revenue on February 5, 2013 by Roger Harris. Eastman Chemical is expected to report increased profit when it files its third quarter earnings report on Thursday. Analysts are looking for a profit of $1.42 per share, which would be a 19 percent increase from $1.19 per share in the 2011 third quarter. Eastman shares were down about 30 cents to $55.78 in early afternoon trading. 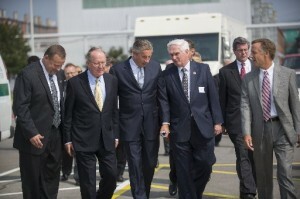 The Kingsport, Tenn, company is a global producer of chemicals, plastics, and fibers. This entry was posted in Stocks and tagged chemicals, earnings, Eastman Chemical, fibers, forbes, plastics, profit, Wall Street Cheat Sheet on October 22, 2012 by Roger Harris. Investors are rewarding Scripps Networks Interactive strong second quarter results. The lifestyle media company’s stock is trading above its 52-week high today reaching as high as $58.64 before easing back to just below $58. The Knoxville-based company said last week that earnings for the quarter rose to $142 million, or 93 cents per share, easily beating analysts expectations. Full disclosure: I own a small number of SNI shares. This entry was posted in Scripps Networks and tagged earnings, Scripps Networks Interactive, stock, trading on August 6, 2012 by Roger Harris.